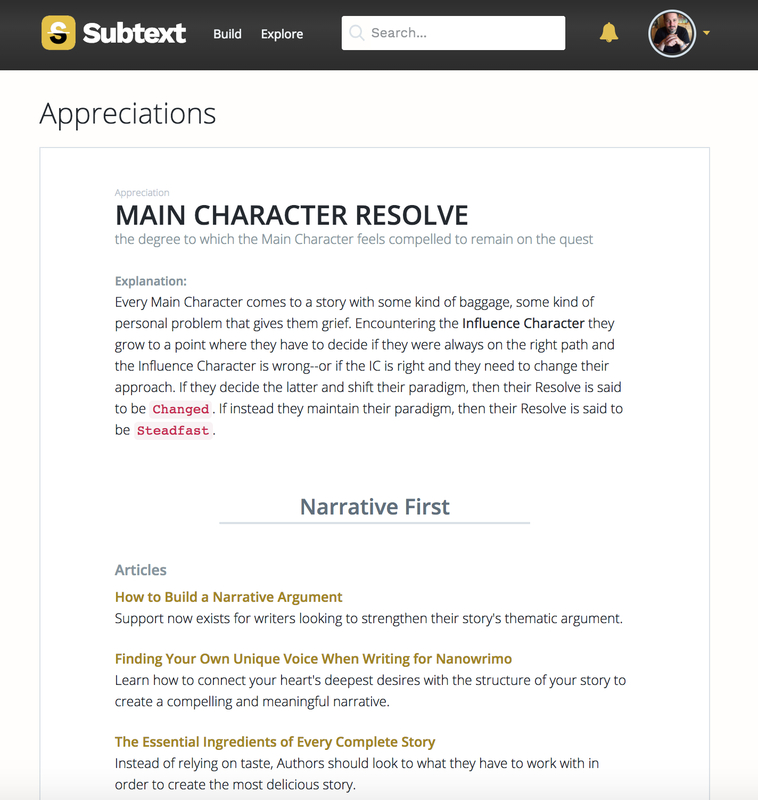 Thanks to a bit of crafty engineering, you can now explore the hundreds upon hundreds of articles, blog posts, and podcasts on Narrative First through Subtext—our premiere service for writers. The Appreciations of Story Structure (found under the Explore tab) now link to related content on Narrative First. In addition, we added our own take on the definition of each appreciation, based on our practical experience applying the theory to various movies, television shows, and novels.